Update 2/4 (III): Although the Super Bowl Half Show left many SpongeBob SquarePants fans feeling like they've just tasted a Krabby Patty made out of Chum, the Dallas Stars ice hockey team stepped up to the plate to give Stephen Hillenburg the tribute he truly deserves! Okay, everybody… Let’s get this over with. Maroon 5, Travis Scott & Big Boi also see streaming gains after the Big Game. SpongeBob SquarePants' "Sweet Victory" makes a super-size gain in streams, thanks to the tune's brief cameo in the Feb. 3 Super Bowl halftime show starring Maroon 5. One of Maroon 5’s guest stars, Travis Scott, was introduced by an onscreen snippet of the “Band Geeks” episode of the animated series SpongeBob SquarePants. In the clip, about eight seconds of fanfare from the song “Sweet Victory” is heard, performed by David Eisley and Bob Kulick. On the day of the big game and the day following, “Sweet’s” on-demand streams (audio and video combined) surged by 566 percent in the U.S., as compared to the two previous days, according to Nielsen Music. The song’s streams jumped to 310,000 on Feb. 3 and Feb 4 (combined) versus just 46,000 on Feb. 1 and Feb. 2. Adam Levine of Maroon 5 performs during the halftime show of Super Bowl LIII between the New England Patriots and the Los Angeles Rams during the first half of Super Bowl LIII at Mercedes-Benz Stadium in Atlanta on Feb. 3, 2019. The inclusion of “Sweet Victory” in the halftime show was likely sparked by a Change.org petition that called for the Super Bowl to honor SpongeBob’s creator, Stephen Hillenburg, who died in November. As for the six Maroon 5 songs the band performed during halftime (“Harder to Breathe,” “This Love,” “Girls Like You,” “She Will Be Loved,” “Sugar” and “Moves Like Jagger”), they collectively jumped 35.3 percent in on-demand streams (4.90 million on Feb. 3-4 vs. 3.62 million on Feb. 1-2). In total, Maroon 5’s entire catalog of songs climbed 38.3 percent in on-demand streams (11.84 million on Feb. 3-4 vs. 8.56 million on Feb. 1-2). OutKast’s Big Boi and Scott also tallied increases for their guest performances in the halftime show. Big Boi’s performance of OutKast’s “The Way You Move” yielded a 74 percent streaming gain (265,000 on-demand streams on Feb. 3-4 vs. 152,000 on Feb. 1-2). Further, another Big Boi-related track, “Kryptonite,” also rose after its brief inclusion in the show: it jumped 95.3 percent (56,000 streams on Feb. 3-4 vs. 29,000 on Feb. 1-2). “Kryptonite” is performed by Big Boi’s own Purple Ribbon All-Stars ensemble. Scott’s single “Sicko Mode” climbed just 1 percent in on-demand streams (4.91 million on Feb. 3-4 vs. 4.86 million on Feb. 1-2). The tiny increase -- as compared to the rest of the halftime tunes’ growth — isn’t that shocking, since the track is a recent former No. 1 on Billboard’s Streaming Songs chart (topping the list dated Jan. 12) and remains in the top five on the current list (No. 5 on the Feb. 9-dated tally). Thus, “Sicko” was already a streaming monster -- and continues to be -- and didn’t have much room for growth. Overall, the songs performed or heard during the halftime show (the six Maroon 5 songs, “Sweet Victory,” “The Way You Move,” “Kryptonite” and “Sicko Mode”) combined for a 19.8 percent gain in streams (10.4 million on Feb. 3-4 vs. 8.7 million on Feb. 1-2). Ok, take it from someone who worked very briefly on that short SpongeBob clip at the halftime show only a handful of days ago. All of us at Nick were in the mindset that new Squidward/SB animation was gonna introduce the band and they were gonna go into "Sweet Victory". But ultimately it was the NFL's decision, and the end result was them "meeting us halfway" on the idea all the fans came up with online. Also in the short clip itself, the animation is different cuz this was literally done a week ago with only a few days to create it - Which, in a big studio with everyone trying to do their scheduled jobs ON TOP OF creating this clip, is kind of a miracle any clip was made at all. It’s unlikely the band plays the entire song — not even the “Band Geeks” episode actually plays a full-length song, mind you — but it definitely looks like Maroon 5 will make at least an homage to SpongeBob and the Bikini Bottom Super Band as part of its medley on Sunday. Update 1/14: Has the petition been successful? Maroon 5, who is set to perform during the Super Bowl half-time show, has released a cryptic video about their upcoming performance, which features a quick glimpse of SpongeBob SquarePants around the 30-second mark! To honor the life and work of SpongeBob SquarePants creator Stephen Hillenburg, who tragically passed away this week after a long battle with ALS, a group of fans has started a petition to bring one of the show's most memorable musical performances to the biggest stage in the country. Update (1/29): Rodger Bumpass, the voice of Squidward Tentacles on SpongeBob SquarePants, has revealed he will introduce the entertainment at the 2019 Super Bowl Halftime Show! Bumpass posted on Facebook telling SpongeBob fans to tune into the Super Bowl to hear Squidward introduce the halftime entertainment, which is headlined by Maroon 5, and confirmed that he will be recording "a very short piece" for the Super Bowl with Squidward introducing the halftime show. Update (1/31): The New England Patriots will face off against the Los Angeles Rams in Atlanta for Super Bowl LIII on Sunday, but it isn't just which team will walk away victorious that fans are betting on. Some fans are betting on "Sweet Victory", SpongeBob SquarePants style. According to CBS Sports, a prop bet -- short for "proposition bet", a bet made on elements of a game or event that have no direct impact on the game's final outcome -- for this year's game is letting those who are interested gamble on whether halftime performers Maroon 5 will perform the fan-favorite song during their set - and the odds are good. Additionally, Fans have made a meme out of mashing up the "Band Geeks" episode with rapper Travis Scott's hit "Sicko Mode", and guess who is joining Maroon 5 on stage during halftime? That's right, Travis Scott! All of these tidbits together seem to point pretty strongly towards something "Sweet Victory" related and SpongeBob fans are convinced it's happening. Interestingly enough, the Vegas odds actually agree with them. Bovada currently has the odds of "Sweet Victory" at the Super Bowl as "Yes" at minus-220 and "No" at plus-155. Yeah, this is definitely happening. And yes, mayonnaise is an instrument. A few days after Hillenburg's passing, a petition on Change.org called for the NFL to play "Sweet Victory" during the halftime show of February's Super Bowl. At the time of writing this article, just two days after the petition went live, it has already earned more than 31,000 signatures. 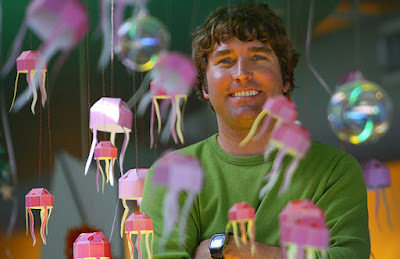 "As some of you may or may not know, Stephen Hillenburg - the creator of SpongeBob SquarePants - has passed away recently," writes Isreal Colunga who started the petition. 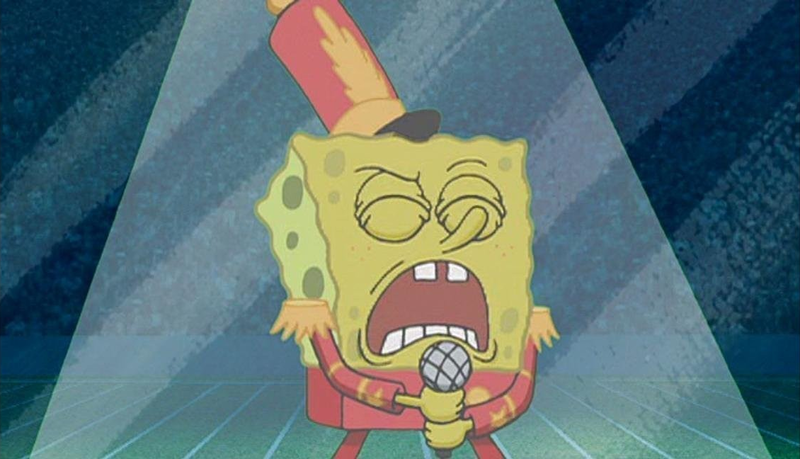 "As a tribute to his legacy, his contributions to a generation of children, and to truly showcase the greatness of this song, we call for Sweet Victory to be performed at the Halftime Show." This may seem like a strange request if you've never watched an episode of SpongeBob, but if you're a fan, this makes all the sense in the world. If you recall, SpongeBob and his friends performed "Sweet Victory" in a Season 2 episode of the series called "Band Geeks" - a favorite episode among fans. In the episode, Squidward finds himself telling a lie to his archnemesis Squilliam Fancyson, claiming he has a marching band. Not believing the Krusty Krab worker, Squilliam offers Squidward's band a slot to perform for a human audience at halftime of the Bubble Bowl, Bikini Bottom's equivalent to the Big Game. The band Squidward assembles is pretty awful to begin with — ahem, "Is mayonnaise an instrument?" — but the group eventually comes together to knock their show out of the park with their hit song. While Squidward didn't expect the band to be able to do anything, since he lied about their talents in the first place, he was shocked when they started performing an intense, '80s inspired rock ballad, complete with fire effects and lasers. The "Sweet Victory" ballad is sung by David Glen Eisley, who co-wrote the track with Bob Kulick. The NFL may not recognize this petition, no matter how many signatures it gets, but the support of this cause alone is a testament to the massive number of people Hillenburg has impacted with his work. If you want to sign the petition, you can head over to Change.org. The full clip of SpongeBob performing "Sweet Victory" is available on the Nickelodeon website. SAN DIEGO, Jan. 2, 2019 /PRNewswire/ -- A recent petition supporting a live 2019 halftime show performance of "Sweet Victory" from Spongebob Squarepants' infamous episode (Band Geeks) has taken the internet by storm. This interest has been fueled by the unexpected passing of the show's creator, Stephen Hillenburg and the incredible popularity and memorability from millennials and beyond of this specific magical scene ("Sweet Victory" by Spongebob). To join the millions of signatures on the petition, click here: https://www.change.org/p/nfl-have-sweet-victory-performed-at-the-super-bowl. Cael Dadian created a live rendition of the song after bringing together 18 musicians in just a few days and while turning mayonnaise into an instrument (in reference to the most memorable quote from this famous episode). Cael then shared this live performance online and the response has been overwhelming. Cael's live performance video has over 330,000 Twitter views, over 12,000 YouTube views, is featured on the original petition, has received direct response from Nickelodeon and the original song's producer, Bob Kulick. In addition, this performance by Cael and his 'Band Geeks' has since been featured on an entire KTLA News Channel 5 segment, Sports Illustrated, Miami Herald, Syfy, The Score, MSN, among others. Passionate engagement from this younger generation and a steady flow of supporting comments are pushing for Cael and this group to perform this song live with Maroon 5 at the upcoming 2019 halftime show. Cael Dadian is a 22-year-old singer, songwriter, performer and producer of pop, R&B, and hip-hop music from San Diego, California. He has landed production placements with the likes of DJ Carnage, Hoodrich Pablo Juan, and others. He is a true kid at heart which you'll hear in his music and his live "Sweet Victory" performance. Update (12/17): The petition to have SpongeBob SquarePants, Patrick Star, and company playing their "Sweet Victory" hit single at Super Bowl LIII is nearing one million signatures, prompting a tease from the stadium hosting the annual event. Atlanta's Mercedez-Benz Stadium, home to the Atlanta Falcons and Major League Soccer's Atlanta United, posted a cryptic tweet earlier this weekend of a GIF featuring SpongeBob, Patrick, Mr. Crabs, and the crew as they prepped for their iconic Bubble Bowl performance. This will be Mercedes-Benz Stadium's first time hosting the sporting event. The National Football League had previously announced the Adam Levine-led Maroon 5 would be headlining the halftime show. As of this writing, the petition has north of 940,000 signatures, hundreds of thousands past the petition's original goal. In addition to the NFL "Sweet Victory" halftime show, fans are also trying to persuade the Empire State Building in New York City to light up yellow in tribute to Stephen Hillenburg. Originally published: Friday, November 30, 2018. Sources: ComicBook (II, III, IV, V, VI), Complex, Anime Superhero Forum /@Theagames10 (II), @SweetShop209; Additional sources: Encyclopedia SpongeBobia, Uproxx, Reddit /@SaintThunder, Twitter /@TheAGames10, Anime Superhero Forum /@Daikun.